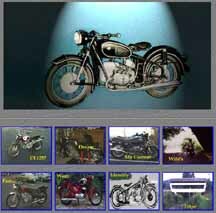 There are so many unique motorcycles that I would love a chance to ride for awhile listing all of them would be quite a task. Every year I find out about cool new bikes that I had no idea existed. Here is a sampling of my current major wants. I have categorized them by country of manufacturer. Although BMWs hold my heart the English have the big price tag bikes that I dream of some day having. 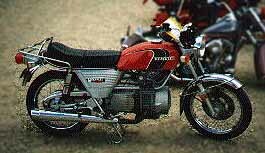 The style, lines, performance and history of this bike intrigue me beyond description. If you have the chance rent Lawrence of Arabia. During the first few minutes of the film his death on his Brough is re-enacted. 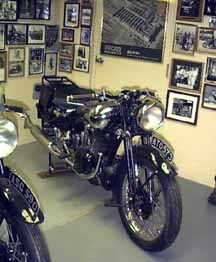 It is worth renting the film just for the footage of the mint running Brough. This simply must be the most elegant motorcycle ever designed. I had seen pictures of Vincents in books and magazines and I really did not see what the big deal was. Sure it was fast but so are alot of other bikes.Then in 1998 I went to the Mid-Ohio Vintage Motorcycle Days show and swap meet. Laura suggested we go see the Vincent display ( the featured marquee ). Once I got to see the engineering in person, I then understood what all the fuss was about. Not many made and very few in the states but a bike I would love to have. 1. W ( Wife Wants ) Ariel Leader or Arrow. This sent to me by: Murray Barnard is much closer but still not the model my wife likes. Not the model my wife wants, but rather my favorite model. I will replace this picture once I find a good picture of her Arrow or Leader. 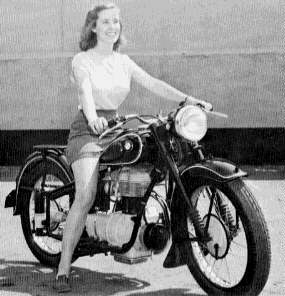 Note: As I see more Velocette and Royal Enfields they may soon make this list! I have one of these now!!!! I don't care much for the front faring. I am told that a model was made without the faring but I have yet to find one for sale. 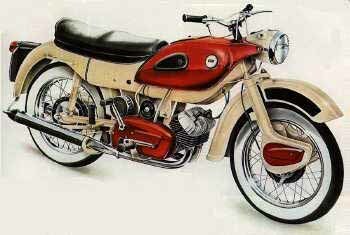 A Hercules W2000, not a DKW, but only the name on the tank is different. There was once a time when a Harley Davidson Sportster would be sharing first place with the Indian Scout or perhaps even pushing the Indian to second place. But the over inflated price of these bikes and especially the attitude of many of the riders have greatly reduced my desire to own a Harley. I was once 'way pissed' at the Japanese for producing bikes that were 'Harley Clones' and causing HD many financial woes. 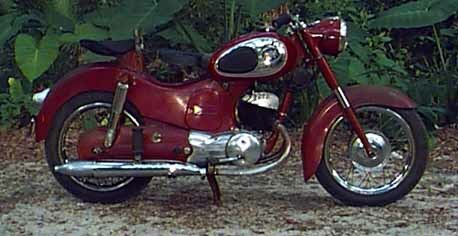 As I grew older than 14 I realized that the market change had forced HD to build a much better engine and motorcycle. Now the bike wars are over and HD is better structured and in no danger of being run out of business. For some reason it seems many people still have the mentality I had when I was 14 and put down other bike makes, don't wave or much worse. If I do get a Harley again some day, I will probably have to put a sticker on it that says "My other bike is a BMW". This is a good sized, good priced HD that actually performs like a motorcycle and not a GoldWing. She would have to be new with the evo engine and extended warranty. I will not bother finding a picture to place here. I am sure the internet is already choked with pictures of harleys. 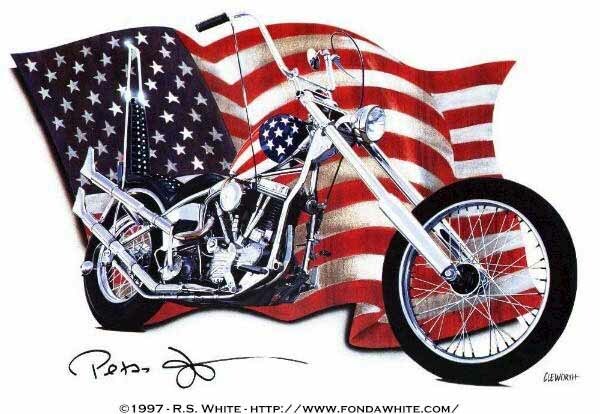 I wanted this bike even years before I saw Easy Rider. I want one of these for it's art and sound. Not the performance or constant manintance. 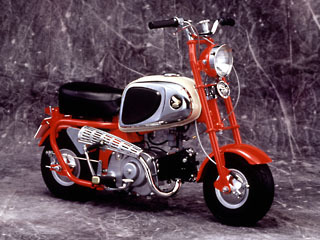 A very fun, quick little motorcycle. Also good for confusing the typical "living in a box" HD rider. Although I have already owned a boat load of rice burners there are still quite a few out there I would love to try for awhile. 1. 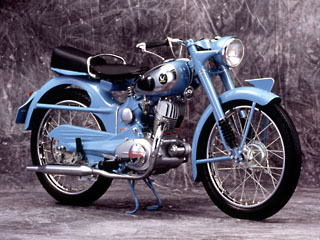 Suzuki RE5, Rotary Engine Motorcycle. A really great idea that needed better marketing and a better body style. 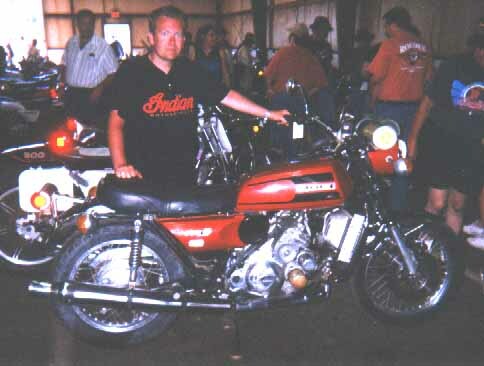 Here I am at the 1998 Mid-Ohio Motorcycle Auction. Pity I did not have the extra $$ She is sharp! I have owned the next best thing though.. A Suzuki GT500 twin. See my home page for a link to pictures and info. Yes they are 'disposable' bikes but just look at them! How can you resist something so unique and so... well, really weird? Cool Fun little bikes.Reliable and don't leak oil. 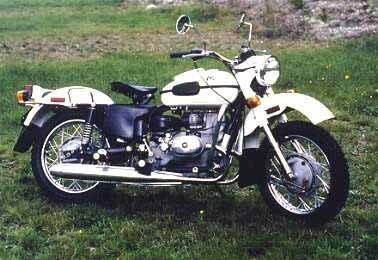 YES, RUSSIA The Ural Motorcycle is a direct descendent of the Pre-War BMW Motorcycle. The BMW plant was 'captured' after WWII and the technology was copied improved and spread throughout the communist world. These motorcycles are still being made and are perhaps the best choice for a sidecar motorcycle today. 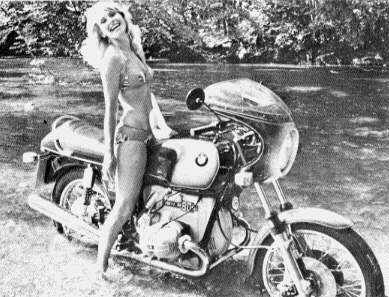 I would love to have a NEW classic BMW. Both way weird and reliable I would love to find a restored one to ride.